A snowscape spreading out across a plateau. 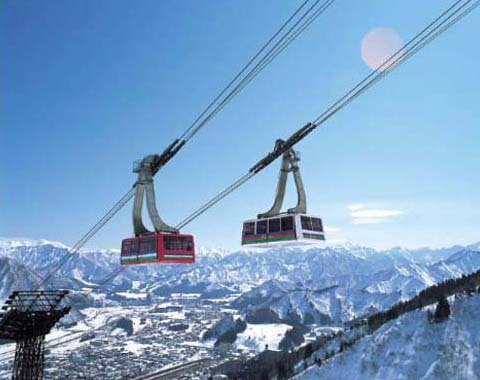 One of the worlds largest cable cars, capable of transporting up to 166 passengers, runs non-stop and offers a panoramic view as you travel to the plateau summit. There are plenty of opportunities for skiing fun along with hot springs for carefree relaxation.